A narrative college essay is a type of assignment that tells a story from your own life. It’s not as structured and demanding as other types of academic papers, such as argumentative projects for instance. It’s a more personal way of writing that you can base on experience. This can be a really fun academic endeavor. It can also be an overwhelming challenge. What makes the difference? - Your inspiration. When you’re truly inspired from a moment, event, or person, it’s not hard to write about it. When you don’t know how to approach this type of paper, however, things get serious. It’s still part of the final grade, so the pressure may be too much. There’s nothing to worry about. 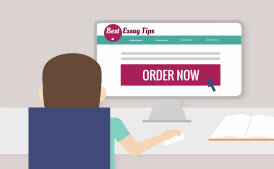 We’re here to give you the ultimate narrative essay tips, so you’ll aim at this target with ease. The advice that follows is provided by professional writers who’ve written dozens of narrative papers before. The guide works! That’s enough to scare you off. You’ve never tackled this kind of content before so you don’t even know where to start. Start by acknowledging the most crucial elements of the narrative paper. They will help you write the sample. These are topics; not headlines. The title has to be more creative. If, for example, you choose summer vacation as your topic, the title can be something like My Vacation in Greece: Islands, Olives, and Endless Blue. This is not the first thing you need to write. Just think of your topic, and go through the remaining stages of the process. Then, when the entire paper is ready, you’ll have a logical title to place at the top. The narration is basically a story. Whatever topic you choose; you’ll have to develop it into an intriguing anecdote with a manageable plot. This won’t be a novel. It’s just a personal essay for school, so it will be a simple story. Still, it has to catch the reader’s attention and hold it to the very end. You’ll make lasting impressions only if you use vibrant details to describe this ordeal. When reading, the teacher should see the things you saw and feel the feelings you felt. Those are the main structural elements of an essay narrative. 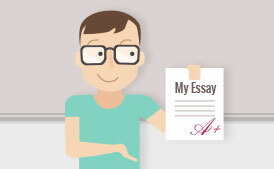 Before you start writing the essay, you’ll need to craft a template that outlines these parts. This type of writing does not require a strict structure. Still, you need an introductory paragraph that sets the tone and tells the reader what this story is about. In the body of your essay, you’ll describe the event or incident, and then you’ll wrap it up with an impressionable conclusion. A good plan will make the writing process much simpler. You’ll already know how to start a narrative essay. All you’ll need to do is start! Now; onto the main narrative writing tips! 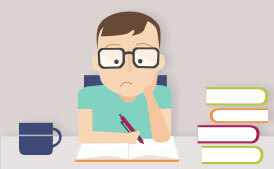 How do you compose the essay? Academic writing needs consistency. Regardless of the fact that this is a personal narration, it should still have a logical flow. When you have an outline, you won’t risk making unnecessary digressions that would distract the reader from the main ideas. I and we are not usually recommended in academic style, but narrative college papers are an exception. You’re the main character, but who else shows up? If you’re talking about your holiday, explain who you were with and who you met there. Other people add depth to any personal experience, so make sure to describe their most vivid characteristics. The where is just as important as the how in plots. Paint a picture of the location in specifics. Dialogues make texts easier to read. When people read books, they move through the pages easily when they involve conversations. Fortunately, this type of essay allows you to include dialogue, so you should certainly use that opportunity. Put the lines in quotation marks, so the reader will know that it’s one of the characters speaking. All people have similar stories to tell. But they are unique at the same time! Do you know what makes them special? The way they are told. Use special details to describe this encounter. Your language should be vivid and it should show instead of tell. Now that you went through the most significant narrative writing tips, you may feel ready to start writing the paper? Not so fast! You have to consider yet another stage: the editing process. It’s no wonder why a professional writer will rely on an editor when they finish their writing. It’s really difficult to edit your own work, since you’re attached to it. However, if you don’t want to hire a revision service to cover this step for you, you can still go through it without assistance. To begin with, read through the entire content. Did you clearly illustrate the main theme? Is there a logical flow in the paper? Is there consistency in your style? Can the reader easily identify the point? You have to make those things very clear. If you notice any flaws in the composition or essence in the paper, you’ll have to fix them. What about the word count? Your teacher has expectations that you’ll need to meet. If, for instance, you were required to write a 500-word essay, you cannot turn in a 300-word or 800-word paper. Stay within the limits of your guidelines. Edit the first draft to get there! Is the grammar, punctuation, and formatting perfect? The final stage involves proofreading, so you’ll get rid of all minor issues that went unnoticed through the previous phases. Now You Know How to Write a Narration! A narrative paper is your chance to get your creational juices flowing! It can be an amusing assignment if you approach it with an open mind. Thanks to the narrative essay tips you just went through, you’re ready to start working on your perfect narration. Just focus and start early! This is your initiation to storytelling. It’s a special moment in your growth as a student, so you should certainly appreciate it. Remember: if you get stuck, you can always request professional writing help online.